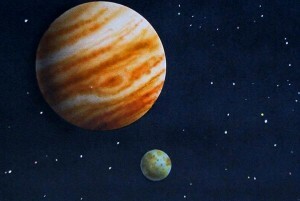 Today, Jupiter goes retrograde. What an amazing month of growth this is! When Jupiter stations and begins to move backwards from our vantage point on Earth, you are welcoming a major inner expansion of opportunities. It means your internal wisdom, your internal growth is completely shifting over the next few months. This Jupiter retrograde is birthed on a day with an incredible numerology code. First – a gentle reminder that my New Year Sale is in full swing and ends in just a few days! Every blueprint and consultation is 33% off ! Get your big discounts by clicking HERE. Jupiter retrograde means you are taking your growth inward – for the most spectacular potential results! January 7 is a 7 Day. 1.7.2016 adds up to a 17/8 Universal Date. January is a 10/1 Universal Month. This powerful 7-8-9-10 code will propel your life forwards in many new extraordinary directions. You’ll find now that Jupiter is prompting you to take your attention into a place of inner integrity, inner wisdom and finding happiness within. To add to the excitement of the code, Jupiter stations direct at 23° Virgo today. That is the Royal Star of the Lion number – strongest number activating in the sign of healing and paying meticulous attention to your life. Your inner STRENGTH is completely at your disposal now as you take your growth inwards for the greatest results. Remember, 2016 is the year your “Royal Code”. As a royal being, your strength is always first born within. Inner growth allows you to become fully Conscious. Many people live accidentally, unconsciously, without direction or self awareness. But growth means you have to be VERY selective. You have to know your values and you have a certain inner discipline. Jupiter retrograde is birthing during Mercury Retrograde on a day that signifies deep inner inspiration and manifestation. This moment has arrived to clear the unnecessary, to make your life less chaotic, to expand your inner balance and feel more at peace. Jupiter in Virgo, the sign ruled by Mercury, is opening your eyes to a brand new vision of your day-to-day life. Mercury also just entered its retrograde cycle and today moved back into Capricorn – the sign of discipline. The profound joint Mercury and Jupiter retrograde code means we are compelled to change our life as we’ve known it! Commit to being deliberate, to doing everything, saying anything, going anywhere with certainty. Have a certain reason for your life. Feeling serene, at peace, calm no matter what the circumstance, is the greatest sign that you are consciously choosing your life – that you are on the right track. Today, commit to moving through your life consciously. This is the perfect moment to discover the secrets in your “Jupiter Wealth Code”. This Jupiter code describes the three specific zones in your life that allow you to naturally expand and embrace opportunities and how you naturally attract abundance. Right now your “Jupiter Wealth Code blueprint is on sale! For a few more days you have the opportunity to save 33% off ALL personal blueprints and private readings. Discover how your beautiful code is coming to life within you! For the ultimate support in your personal journey, click here. P.S. Don’t forget! All 33% New Year’s Sale Discounts are available for only a few more days. Very inspiring message as usual! Thank you for sharing your interpretation of Jupiter Retrograde. Just in the past couple days, unexpected and pleasantly surprising gifts and events have transpired for me that FINALLY feels like I am moving forward with the Jupiter energy in the direction I have been working toward (after experiencing several delays, twists and turns since Jupiter first went into Virgo in August). I am glad to hear the combination of Jupiter and Mercury Retrograde will “clear the unnecessary, make your life less chaotic, expand your inner balance and feel more at peace.” I am soooo needing less chaotic activity (emotional mostly) and more peaceful balance would be really nice!